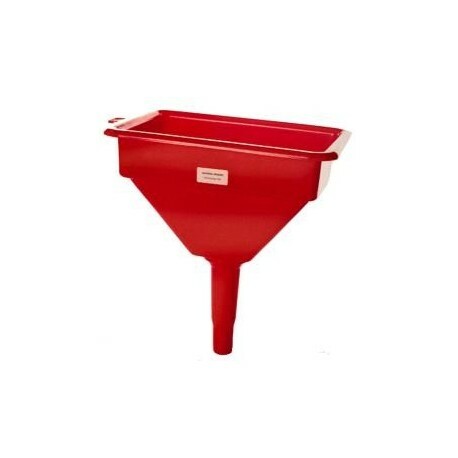 This large capacity 4 QT FUNNEL WITH SCREEN has a 10" x 7" top opening and a 1-1/16" diameter outlet. 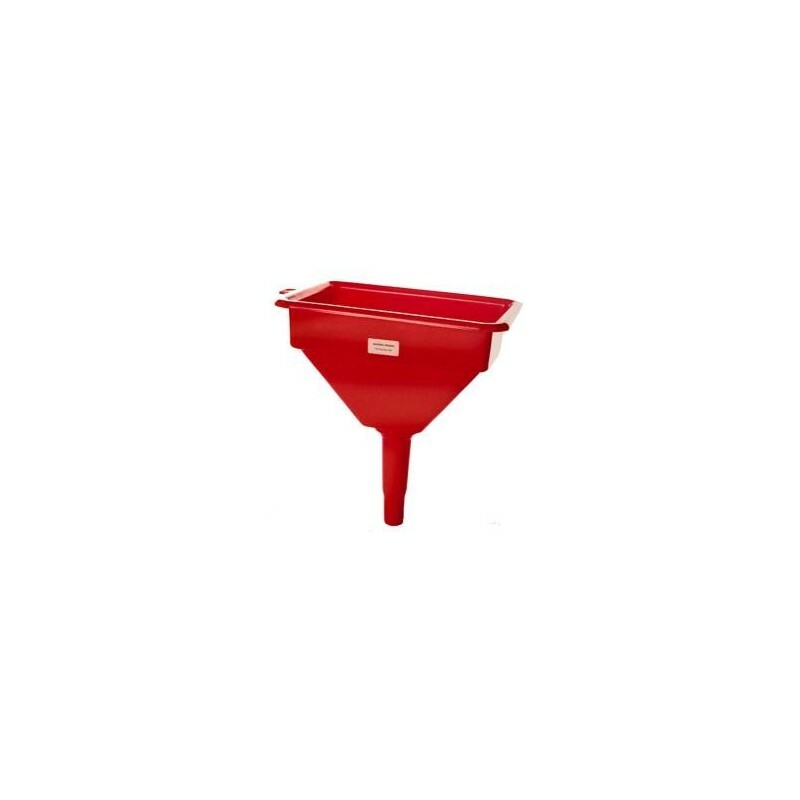 Made of heavy-duty polyethylene with a built-in strainer screen, this funnel is designed for diesel fuel. Weighs 1 lb. Item #J000-034s is a replacement strainer screen.